Looks like registration for launch open to all, see below. 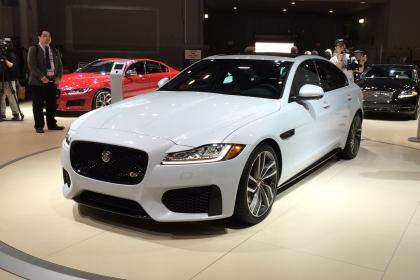 All Jaguar are beautiful but why new Jaguar no more prancing Jaguar on its bonnet? Hope old XF can drop price in used car market. because it frankly doesnt suit the new design... and because standing hood ornaments bring their own set of problems. Edited by Spyder79, 24 November 2015 - 12:17 AM. This model has gone on an intensive diet, space has been increased, new engines lie under the bonnet and there’s a big infotainment system upgrade. I went to take a look at XE, priced at $199k, solid car but very small size. Maybe suitable for dwarfs though. Haha. I was told that XF is priced at about $240k. 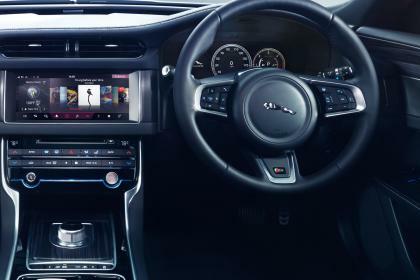 The integrated GPS system is with the XE but heard that it will not be fitted in XF.. due to cost margin. Even for the leather seats is local fitted.. List price only mah. Usually will have over trade discounts and etc. Went early morning. Lot of improvements in interior (from classic to modern look), exterior, I still like the predecessor (especially the head lights area). 2.0 Litre Turbo is so so. May be 3.0L would be a better bet. Drive was bit heavy - it is usual thing for Jaguar. Not true. XF 2L prestige model (that is the only model available now) has an integrated GPS. I do not think the leather seat is fitted locally. Either you do not know the facts or the sales girl lied.